Our world is wildly rocking in pain and trouble. 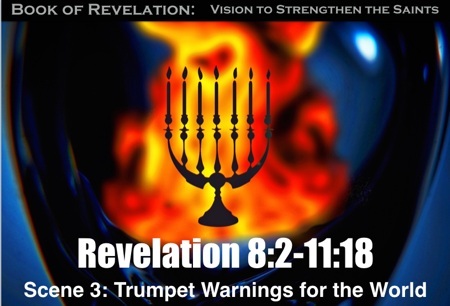 Each time I recently taught the Book of Revelation, I sensed the evil one, like the sun with its sunspots, exploding his evil darkness on the surface of the earth causing great pain. 1) Pray for the Israelis during this time of 20-30 daily attacks being made. Of the 100 injured, most are seriously injured. Only a few of the attacks are mentioned on the news. 2) Pray for the thousands and thousands of refugees from Syria. May they come to know the Lord (if they don't). These events can radically reshape the world. Where will they live? What will they eat? 3) Pray for Paul as he shares a brief gospel message on Jesus, the Light of the World, this Saturday evening (10/24) to about 60 Indian students. Our church prayer request is that these outreaches to the local students would bring them to know our gracious God.